The WA-2192 FME splitter/combiner allows the connection of two devices to one external antenna or amplifier. The kit includes 2 pre-terminated N male to FME female 10’ RG-58 cables, 1 N male to FME male adapter and one splitter/combiner. *Phone specific RF adapter not included. This simple kit will allow you to connect a second phone or cellular device like a data modem or aircard to an existing inline amplifier or external antenna system. Please note that by adding an additional device, the enhancement provided by original solution will be reduced as the signal will now be split between two devices. Wilson Electronics has recently received FCC approval on the 801230 SignalBoost Vehicle wireless dual band cellular / PCS amplifier also known as the Wilson 801248 Mini-SOHO wireless cellular / PCS SmartTech Amplifier. From the information we have so far the unit is 6 volt DC and has SMA female connections. This is something new for the Wilson product line as historically they have used N female and FME male. www.wpsantennas.com will have the new units in stock and available for immediate shipment as soon as they are released. The 801248 is the mini-SOHO unit for home or office use. The 801230 is the mobile vehilce unit. www.wpsantennas.com has introduced the Wilson 811901 900 MHz / 2100 MHz cellular inline amplifier. The Wilson 811901 inline amplifier is designed for use with a cell phone / data card-specific RF external antenna adapter. Also known as the GSM 900 MHz / UMTS 2100 MHz amplifier the Wilson 811901 has been designed for use primarily in Europe and Asia. We have Marine antennas for 2100 MHz available along with high gain directional yagi antennas, desktop antennas and magnetic mount antennas. The marine antenna for 2100 MHz we recommend is the 295-PW. The high gain directional yagi for 2100 MHz is the MB-825. Vehicle antenna for 2100 MHz is the Antenex / Laird TRAB806/17103 pared with a magnetic or permanent NMO mount. For portable or desktop use we recommend the ARC freedom antenna for 2100 MHz. The external antenna adapter for the Novatel Ovation U727 (USB727, MC727) is http://www.wpsantennas.com/ part number 359927/WA-1033. 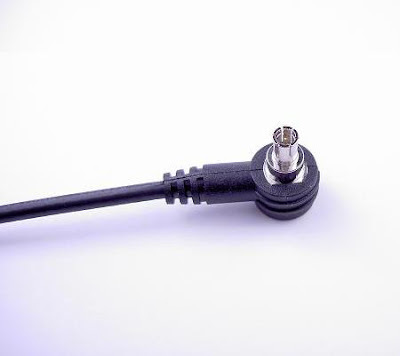 The antenna adapter that properly connects to the Novatel Ovation U-727 (USB-727, MC-727) is the TS-9 coax connector found on the www.wpsantennas.com 359927/WA-1033. We do not recommend using any other RF adapter on the devices as there have been reports of permanent damage to the device.